Is your family protected if the worst happened to you? First of all, congratulations on simply reading this. Only 45% of male and 38% of female breadwinners have life insurance. And one in four have none. Yet the sad truth is one child in 29 loses a parent before they grow up. So if you are married and/or a parent, have a life-partner, or are a responsible person with dependants you care for, you really should see life insurance not as an option, but a necessity. What’s more, it’s not just a prudent, thoughtful way to care for those you love: it’s surprisingly reasonable – perhaps the best value of any kind of insurance. 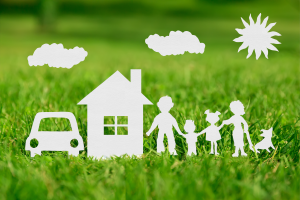 What affects the cost of your life insurance? 1. Do You Really Need Life Insurance? The most common life insurance policy aims to provide money for your partner, children or other dependants if you or your partner pass away. So if you are single with no dependants, you probably don’t need life insurance. And if you have dependants who could easily cope without financial help, you probably don’t need it either. 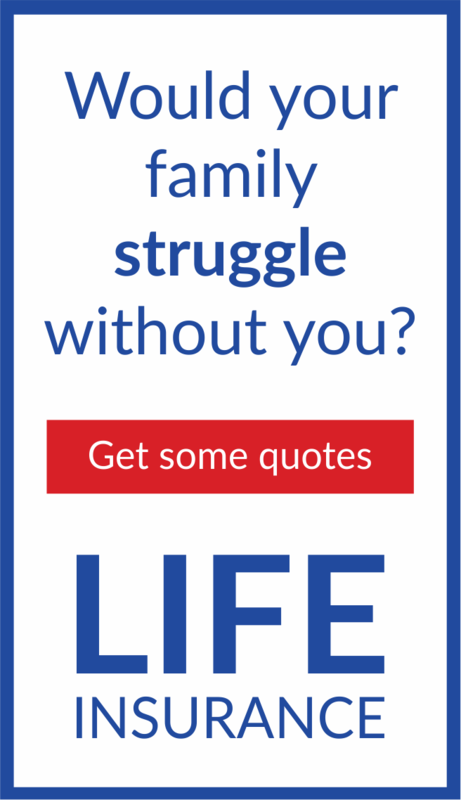 If they would struggle, you really do need life insurance. It’s the simplest, most effective way to solve the problem. 2. But How Do You Choose The Right Policy? There are many kinds. 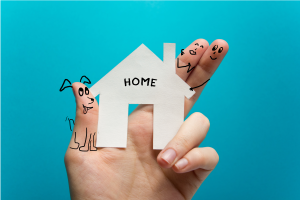 Some just provide for your dependants; but others are designed to protect a mortgage or help reduce the burden of inheritance tax. We’ll cover the most important ones here. There is a lot of confusing terminology about insurance, and we’ll avoid that as far as we can. But in many, if not most, cases, Level Term Life Insurance or Assurance is probably your wisest choice. A Level Term Life policy is a popular, simple kind that pays a given amount (“Level”) if you die within a fixed period of time (“Term”). So your beneficiaries would get, say, £150,000 if during the fixed term, say 15 years, you die. But after the term ends they get nothing. Obviously the cost of the policy varies, depending on how much money you think your dependants will need and the length of the term. One advantage is that such a policy is fairly easy for grieving family members to administer when making a claim. Now let’s look at the critical questions you should consider to decide what’s right for you, plus some alternatives that may also interest you. You should aim to insure for a sum equal to 10 times your annual income. This amount is generally seen to make sense under normal circumstances. It should in theory provide adequate financial support for your dependants, but of course we are all different, so you must bear your personal circumstances in mind. You may think life insurance worth 10 times your income is too much, but if you have children the policy should ideally provide funds until they have finished school, college or university. And quite possibly much longer. And remember inflation will reduce how much this money will buy in future. Right now inflation is very low; but at one point in the 70s it was as high as 24.2% a year. What Is The Ideal Insurance Term Length For You? As we just said, your policy should ideally last until all your offspring no longer need financial help. But do you and your partner plan to have a bigger family? Then you should plan for your new arrivals and when those happy occasions will occur. Remember: life insurance costs more as you get older, so you are wise to plan ahead rather than hope to extend your policy or buy a new policy later. To provide adequate life insurance cover for your partner, the term should last at least until the year when you expect to stop working and begin to draw a pension. Is Life Insurance Cover Provided By Your Employer Enough? You may have free "death-in-service" cover through your employer. This benefit will pay out a multiple of your salary, typically around four times, while you are an employee of that company. The death need not occur at work or be linked to your job. However, relying on this work-related cover is generally not considered a good idea. You will probably change jobs in the future and your next employer may not offer this benefit. If you develop any significant health problems in the interim, you may find it expensive to arrange your own life insurance cover later. Best to act now. If you have a spouse or life-partner and you both want life cover insurance you can buy two single policies (one for each of you), or you can buy a joint 'couples' policy. A joint policy in the name of two policyholders may cost slightly less than buying two single policies, but please remember: this policy will only pay out once. The payment usually occurs on the “first death”. Some years ago, there were life insurance policies which paid out on the “second death”, but today such policies are rarely offered. Moreover, although a joint policy is convenient if you are a married couple with no dependants you must be realistic, around 40% of marriages end in divorce. What if you and your partner do separate, no matter how unlikely that seems now? You may have to cancel the joint policy cover and buy two new single policies based on your increased age and health. These will be much more expensive. Buying two single policies will provide a pay-out on the death of either policyholder. And you won’t need to buy any new life insurance policy if you do part later. Most Level Term life insurance policies let you choose from two types of monthly payment premiums when you buy them: “guaranteed” or “reviewable”. Guaranteed makes more sense for a simple reason. When your premiums are guaranteed, you know in advance exactly what you will be paying throughout the length of the policy, because your insurer has pledged to never change the price. BUT After you have bought a Level Term life insurance policy, you can potentially reduce your monthly premium costs by switching insurer. If an alternative quotation suggests you could make savings, it could look appealing. But you MUST double-check all major details and small-print Terms & Conditions to ensure your replacement cover is at exactly the same level with the same conditions as your previous policy. Moreover, you can’t be sure you will make significant savings by changing your insurer years after you first bought your policy. If you’ve had health problems since, those potential savings may be cancelled out by your greater age and associated insurance risk level. 4. What Affects The Cost Of Your Quote? Besides your age and current state of health, working in a hazardous environment or smoking can increase the price of your life insurance. Pricing will vary significantly depending on your personal details and different insurers assess people for life insurance policies in different ways. But you must NOT retain any secrets about your lifestyle or past medical conditions. Discount brokers will not ask for your medical history before directing you to the selected insurer’s online questionnaire. Advisory brokers, however, will usually request detailed answers to compile your personal medical profile before contacting a suitable insurer. But however you end up buying a policy, you must disclose all the relevant information – especially about your medical history - so your insurer can fully assess the risks. If you don’t, that insurer may give “non-disclosure” of key information as a reason to deny and refuse a settlement payment in the event of a claim. Note: Industry rules on “disclosure” have changed. The Insurance Act 2015 covering all insurance products came into force in England, Wales, Scotland and Northern Ireland (with a few minor exceptions in NI) in August 2016. From that date insurers cannot reject a customer’s claim out of hand if they submitted incorrect information recorded on their life insurance policy documents that is not directly relevant to their claim. How Much Does Smoking Affect Life Insurance Costs? Non-smokers are much less likely to die during the term, so compared to smokers their policy will be cheaper. If smokers are trying to give up the habit, the length of time to qualify as a non-smoker is critical. Most insurers require you to demonstrate at least one year of nicotine-free living. But in some cases non-smoking periods as long as five years may apply. If you have managed to give up smoking, it will certainly pay to have your genuine nonsmoking status noted by your Doctor on your official medical records. Insurers will most likely invalidate a life insurance policy claim if your cause of death is deemed to be related to smoking, having previously stated non-smoking status. Can You Buy Life Insurance Without Answering Health Questions? Some insurers offer an "over-50" life insurance policy with guaranteed acceptance for all up to an age of 80 or perhaps 85, where you do not need to answer any personal health-related questions when you apply. Be careful. This special type of life insurance policy costs much more and usually stipulates that no claims will be allowed during the first two years of the policy term. This is usually an investment-linked life insurance policy, mainly used to counter inheritance tax liabilities. It will pay a settlement value upon death carefully designed to reduce or completely cover your projected inheritance tax costs. This provides an annual tax-free payment for a set period. Family Income Benefit (FIB) sounds like something to do with receiving benefits. This is not so: this policy is an option if you want to provide a regular income for your family, rather than a lump sum. A FIB can be as effective as buying Level Term life insurance cover. But it very much depends on when you die. Thus if you bought a FIB taken out over 10 years paying out £10,000 a year and you died in the first year, your dependants would receive £10,000 a year for 10 years, i.e. £100,000. However, if you died in the last year, your dependants would only receive £10,000. In comparison, a 10-year Level Term life insurance policy for £100,000 would pay out £100,000 whether you died on the first or last day of that 10-year period. Should you die within a fixed period this kind of policy is designed to provide money to cover your mortgage. Sometimes referred to as “Decreasing Term Assurance”, the policy settlement value will gradually decrease as your mortgage repayment debt reduces month by month. Such a policy tends to cost less than a popular Level Term life policy, because the insurer usually has to pay-out less money. Having paid tax all your life, you may not be thrilled to realise your estate could end up paying it again after you’ve gone via Inheritance Tax (IHT) at up to 40% depending on the value of the estate. This is because the value of your life insurance will form part of your estate, which could end up paying the tax on it. But by writing the policy “in trust” when you take the policy out, you can often avoid this. It will not be part of your estate and will be paid quickly and simply straight to your dependants. This sensible precaution is easy to take: most new life insurance policies include an option for writing “in trust” at time of preparation with no additional cost to you. If you wish, you can always pay an Independent Financial Advisor (IFA) for help. Regulated IFAs usually cover life insurance, among other products, and should be able to provide expert assistance on writing a policy “in trust”. Always check that insurers are listed on the regulated Financial Conduct Authority (FCA) register to make sure they officially registered for trading in the UK. This important register can be found online at: https://register.fca.org.uk. Should your insurance provider unexpectedly cease to trade, the Financial Services Compensation Scheme (FSCS) is available to support policyholders and the FSCS will seek another insurer to fulfil your policy or provide a suitable replacement policy to cover your needs. Just as well, because as you may not realise even the firms suggested by those helpful comparison sites can cost you a packet because those sites aren’t a charity. They get a handsome commission from the firms they recommend. So if you like we can set it all up for you through a discount broker described by one financial expert as giving “immense” savings. 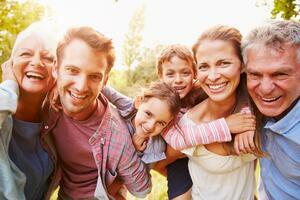 If you have dependents, you should see life insurance not as an option, but a necessity. 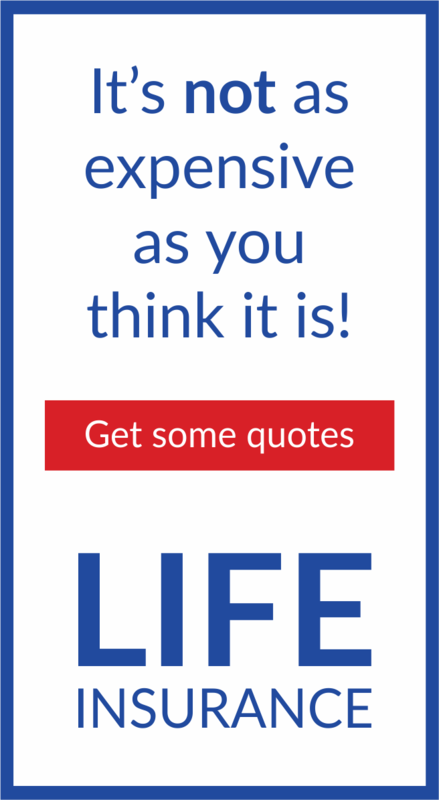 There are many different kinds of life insurance - keep this in mind when getting quotes. Bear your circumstances (now and in the future) in mind when deciding how much cover you need. 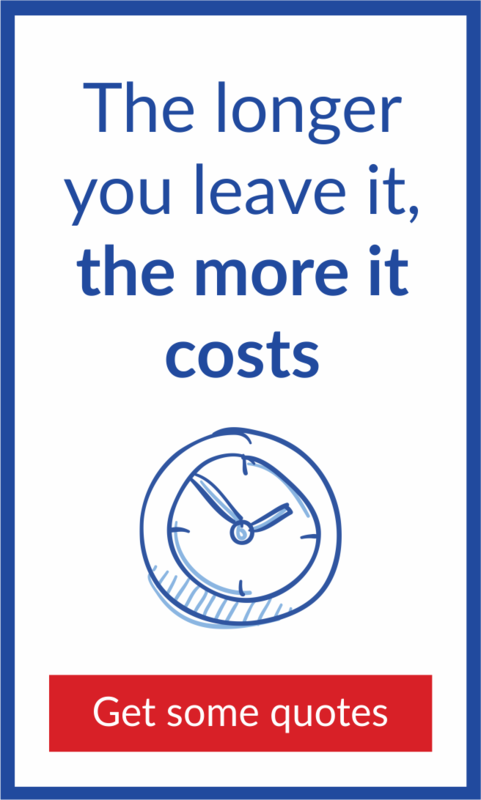 You can pay less on inheritance tax - simply! Use our 9 simple checks to help ensure your most valuable asset is 100% covered.